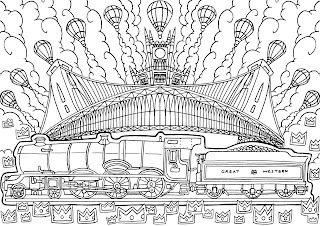 We love colouring in so it was great to hear that Great Western Railway (GWR) has launched its first ever colouring book ‘Iron Horses of the West’ created in consultation with train enthusiast and designed by the Bristol-based urban street artist Andy Council, the book celebrates the art of ‘ferroequinology’ - the study of railways, and the locomotives ‘Iron Horses’ that traversed them. 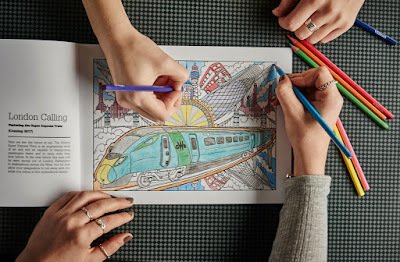 Each of the designs illustrated by Andy and was inspired by the top locomotives that travelled the GWR tracks, Some were chosen for their timeless appeal and others for their speed, the book also features the forthcoming Super Express Train from Hitachi, due to join the company in 2017. Up and Away!’ featuring the King Class Locomotive (1927): ‘King’ Class was the ultimate in GWR steam engines – being the largest and most powerful ever designed for the company. The design was used on the heaviest, fastest services out of Paddington, right up until the introduction of diesel in the early 1960s. The Star that Lit the Way’ featuring the Star Class Locomotive (1838): The first steam locomotives built for the GWR – The first of the ‘Star’ class arrived in 1837, and worked the first ever GWR service on 31 May 1838. London’s Calling’ featuring the Super Express Train (Coming next year): The fastest ever GWR train, manufactured by Hitachi – the suppliers of the famous Japanese bullet train - and set to arrive on the Great Western network in 2017. 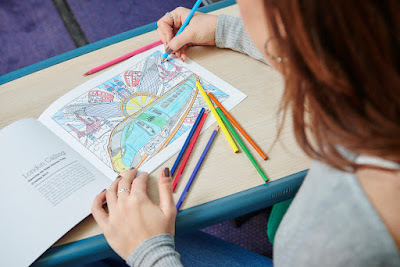 Capable of running on electric or diesel, the engineered work of art will be transporting passengers in style on long distance journeys from Paddington. The ‘Iron Horses of The West’ reignites GWR’s much-loved legacy of producing iconic and collectable memorabilia and was available on selected services (16th March).